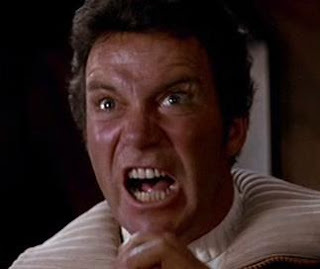 One of the best things about Star Trek II: The Wrath of Kahn, other than the very awesome Kirk scream, is its applicability to real life. The Genesis Device (all such sci-fi devices are unique, destructive, and therefor must be capitalized) is about to go off. The Enterprise's warp core is not working. Someone's giving the countdown of doom. Kirk keeps asking for distance from the explosion and time until detonation. If they can't travel fast enough, they are all dead...and with the warp core down, they will certainly be obliterated in the explosion. Kirk looks worried. But it is not him with whom I identify. 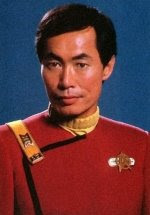 Sulu is at the helm, and in a resigned voice, asks no one in particular: "We're not going to make it, are we?" Star Trek is infamous for putting the ship in mortal peril. They always seem to escape. Sulu knows this. Yet his voice gives away a hint of awareness that their luck might have finally just run out. It is now October 22. I am supposed to have the book done by the end of the month. And boy, is this thing fighting me. I am having to go do mortal combat with the damn thing every day. I've cut my football back to almost nothing. I've eliminated most of my television viewing...and for that matter, culture enjoyment of all sorts. But the book is working against me at every turn. Nine days. I know how Sulu felt. Of course, they did make it, so maybe I will. But they had Spock, who was willing to sacrifice himself in order to save the crew. The good of the many sometimes outweighs the good of the few. Where's my Spock? Who will take my classes, the dilithium crystals of my life, and fix them so I can heroically escape death by missed deadline?